The Durbanites are here and ready to charm you. Yeah, Witness The Funk, the Durban-based music group has dropped “Weekend,” a mid tempo track that will serve as a pleasant beginning for a new week. Witness The Funk, abbreviated WTF, is made up of Nhlakanipho Shongwe (also known as Moshine Magnif), Charles Mchunu (also known as Aux Cable) and Lindokuhle Gcwensa (also known as Efelow). Seems everyone in the group has got an alternative name. But that’s by the way. The group, since it emerged on the scene, has been strumming pleasant tunes to Mzansi (South Africa). Now it is a household name. Songs such as “Amatrophy,” featuring K.O., “Volovolo,” “Lowest,” and several others have earned the group a secure place in South Africa’s music history. 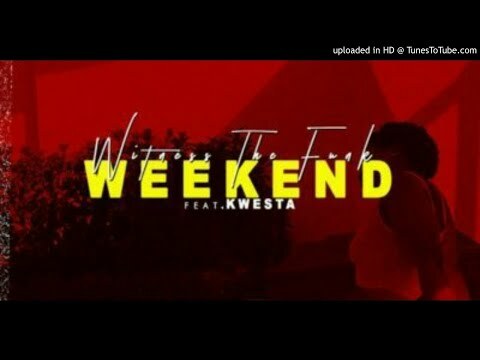 Stream and download “Witness The Funk – Weekend Ft. Kwesta” below, share on social media, and then drop your thoughts in the comment section.